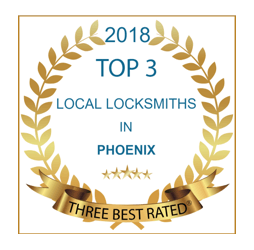 There are no $15-$39 Locksmiths in Chandler. See the evidence, it’s a scam. 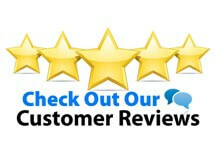 ACME Locksmith Chandler AZ Service is Arizona’s real #1 rated lock service. Fleet of field service vehicles for quick same-day lock service. 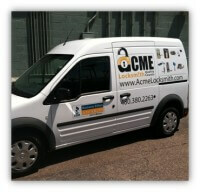 ACME Locksmith is a local Arizona lock company based in Mesa. As one of the largest locksmith Chandler service, we provide fast, same-day lock and key service to Chandler, AZ. We also have lock shops in Phoenix and Scottsdale. Some of the Chandler lock services we provide. Buy your spare car keys and car remotes online. We’ll ship them straight to your home and if they need cutting/programming, come on in, we’ve got you covered. Business Locksmiths: Master key systems, restricted “Do Not Duplicate” keys, high-security locks and keys, panic bars, push paddles, door closers. ROC271563 licensed for your protection. Emergency Locksmith Chandler Services: Evictions, car and home lockouts. We sell and service gun safes, home safes, and commercial safes. Buy online, free curbside delivery. ACME is the only Arizona Locksmith to win a Better Business Bureau Ethics Award and Best Phoenix Contractor Award. ACME was a finalist for the 2010 GPCC Impact Award. We were the first Arizona Lock Company to offer a 100% Money-Back Guarantee and 1-year workmanship warranty for EVERY customer. Where we lead, others follow. 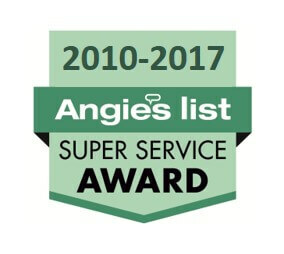 Visit our “About ACME” link for details about our guarantee and recognition. We service Chandler AZ from our Mesa Lock and Safe Center using our fleet of mobile lock shops. Service for Chandler zipcode: 85224, 85255, 85226, 85255, 85246, 85248, 85249, 85286. Stop by our Mesa Locksmith Shop and save yourself a trip charge!